Did you think that the baby monitor was a recent invention? 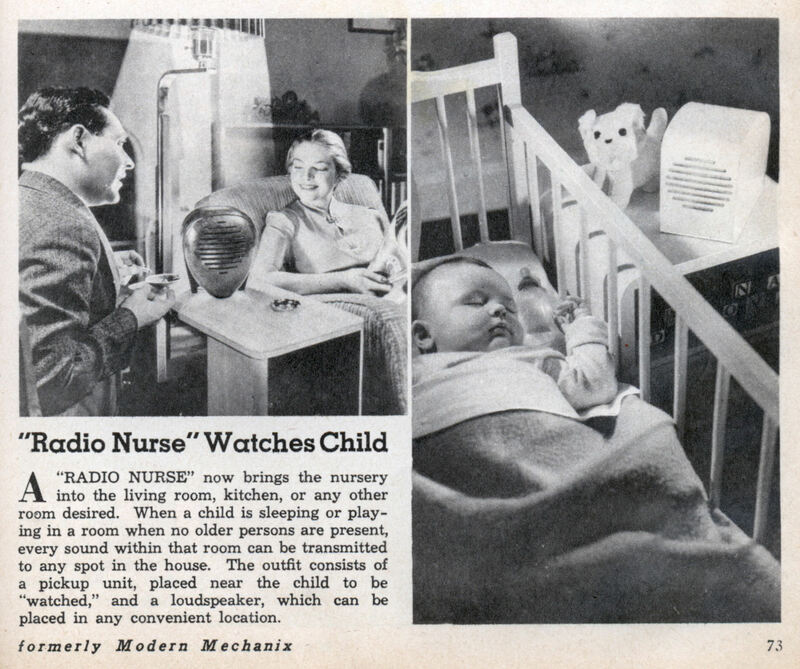 A “RADIO NURSE” now brings the nursery into the living room, kitchen, or any other room desired. When a child is sleeping or playing in a room when no older persons are present, every sound within that room can be transmitted to any spot in the house. The outfit consists of a pickup unit, placed near the child to be “watched,” and a loudspeaker, which can be placed in any convenient location. this nogushi design is one of my faves and I hope to cross with one, in a real bargain, someday. A recent example are a couple models of Honda/Accura with “steerable” headlights that let you see better around turns. According to their marketing no one had ever done it before…. 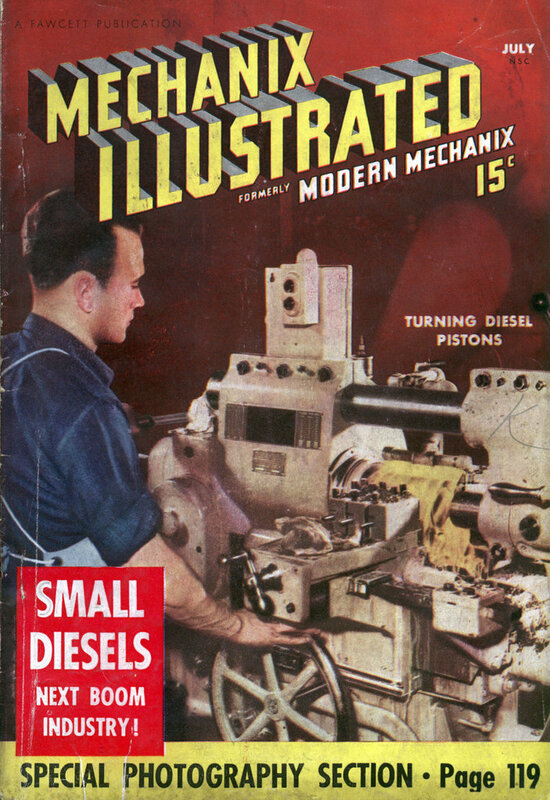 Citroen (of France) was doing it in the mid 1950’s.